The poverty in Greece increased by 40% from 2008 to 2015, according to a Cologne Institute of Economic Research study on European economy. The study is not based on low income alone but on other factors as well, such as the deprivation of material goods, low quality education, underemployment and limited access to healthcare. All the above factors are used in a new “multidimensional poverty index” according to which the Institute has conducted the survey for the years 2008-2015. “Greece is the big loser” of the international economic crisis as the poverty rate increase is the largest among EU countries the study shows, namely by 40%. Ireland and Cyprus follow with a poverty rate of 28%. In Spain the poverty rate is 18% and in Ireland it stands at 11%, all countries that had to be bailed out. 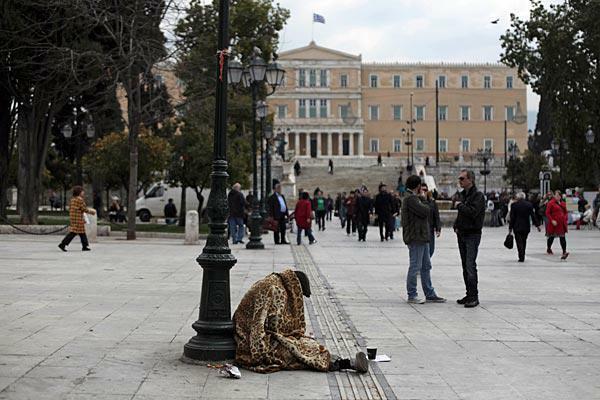 The Institute attributes the high level of poverty in Greece to years of recession and high unemployment, without excluding austerity policies imposed by lenders.